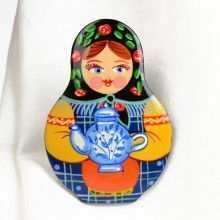 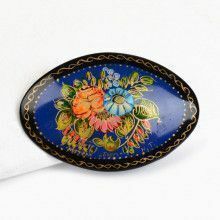 A traditional-looking nesting doll pin, hand-crafted in Russia from wood & lacquer, features a classic floral apron design. 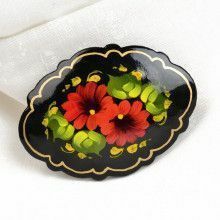 This 2 1/4" x 1 3/4" (approximate size) pin is a fun accessory that can be pinned on a book-bag, purse, coat, or whatever! 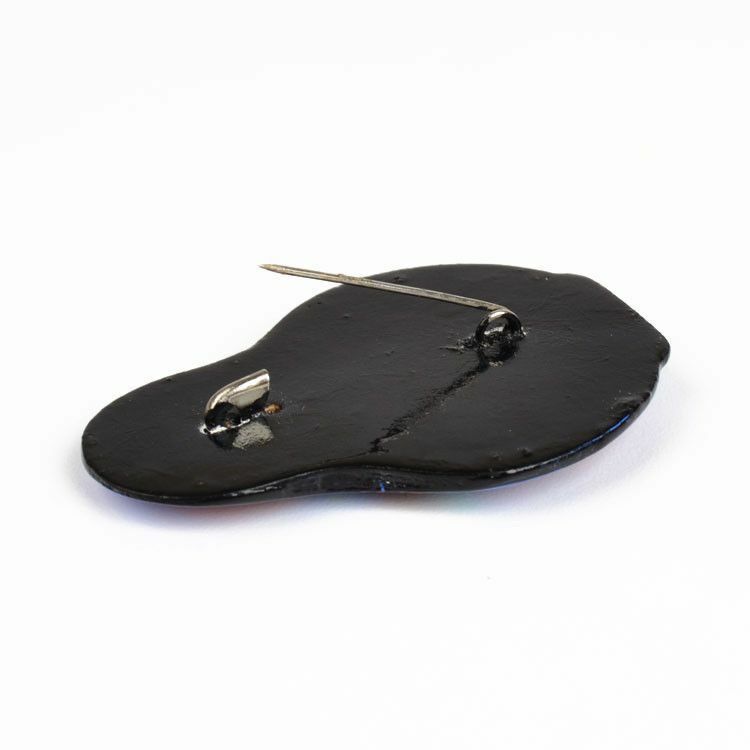 There is a safety pin on the back that makes this brooch quite sturdy. 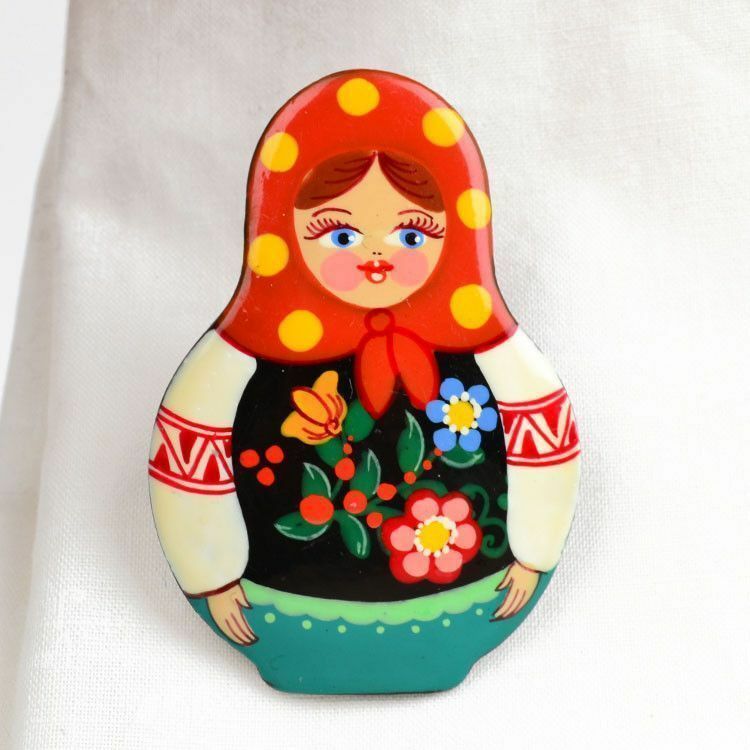 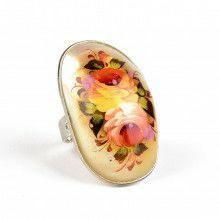 More than one glossy finish ensures your matryoshka pin will stay vibrant for as long as you own it.